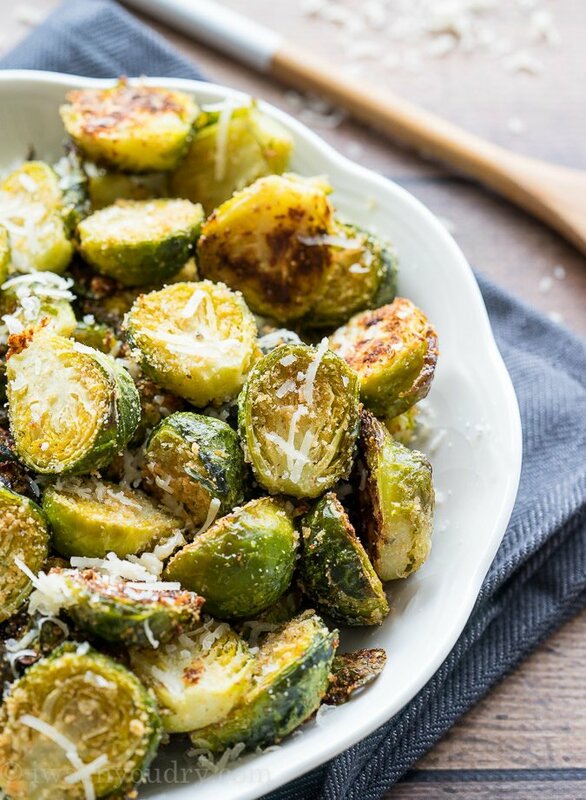 Parmesan Roasted Brussels Sprouts are a super quick and easy side dish that’s ready in less than 20 minutes! 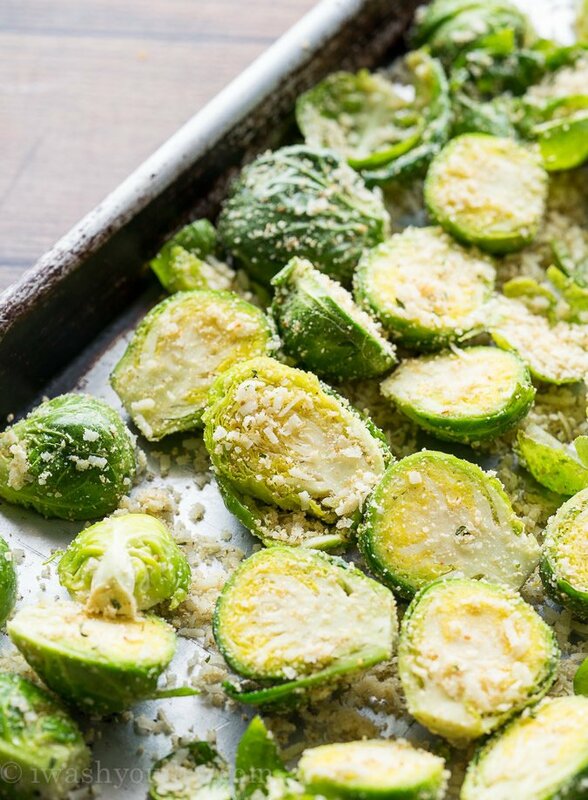 Parmesan Roasted Brussels Sprouts have quickly become one of my family’s all time favorite vegetable side dish. 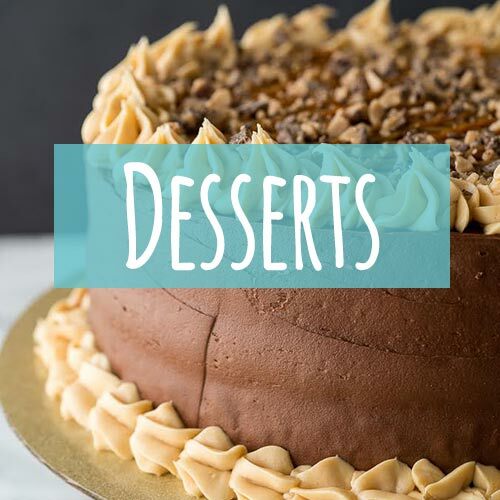 Once you try this recipe, you’ll know why! You know how you’re always looking for the next BIG way to cook Brussels sprouts? … No? Just me? 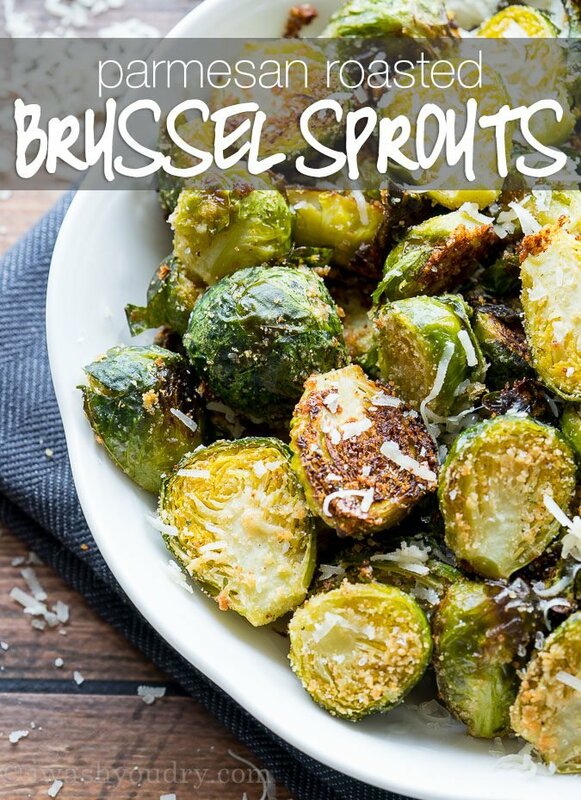 Well I’ve got this amazing Parmesan Roasted Brussels Sprouts recipe that’s actually stupidly simple to make and takes less than 20 minutes! 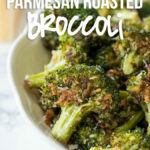 The perfect side dish for your next dinner! A few years ago I planted brussels sprouts in my garden, with high expectations. Unfortunately they didn’t do too well, and what did survive was eaten by some type of worms that I couldn’t get rid of. Did that stop my love of this tiny green vegetable? Nope! 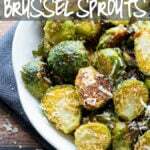 Brussels sprouts are one of my favorite vegetables and I’ve passed that love down to my kids. Yes, even my kids love brussels sprouts. ESPECIALLY when I roast them with parmesan cheese! If you’ve tried my Parmesan Roasted Asparagus you’ll know the magic of roasted vegetables. They become so addictive and almost candy-like! Cut the vegetables into even pieces to achieve similar texture. 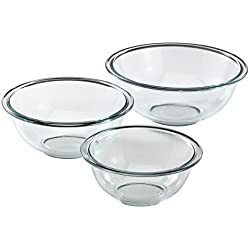 (although, having some variance in sizes can result in multiple textures and a different eating experience, so I guess this is up to your preference). Space vegetables out on the baking sheet. If you overcrowd your veggies they will STEAM, rather than ROAST and you won’t be happy with the end results. Don’t use too much oil. 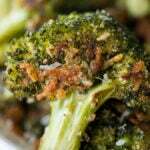 You want the vegetables to be lightly coated in oil… not dripping. Preheat your oven. Make sure your oven is to right temperature for at least 5 to 10 minutes before putting the veggies in. This will help to lightly sear the outside and get the insides soft. I know you may be hesitant to try brussels sprouts, maybe you had a bad experience as a child? 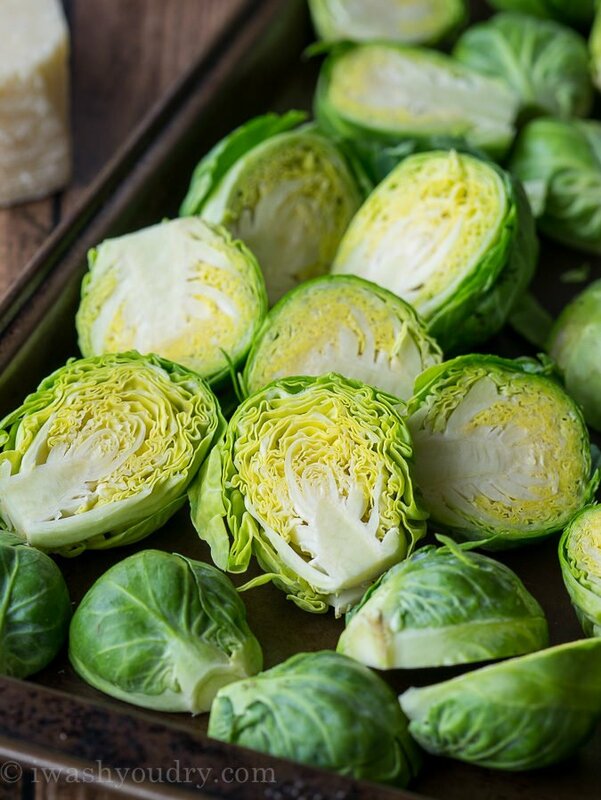 I’m telling you, this Parmesan Roasted Brussels Sprouts Recipe will change your mind about the tiny green cabbage-looking vegetable. Go ahead! 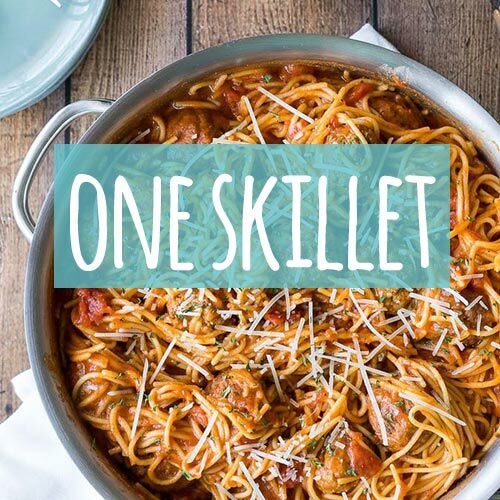 Give these a try for your next dinner! 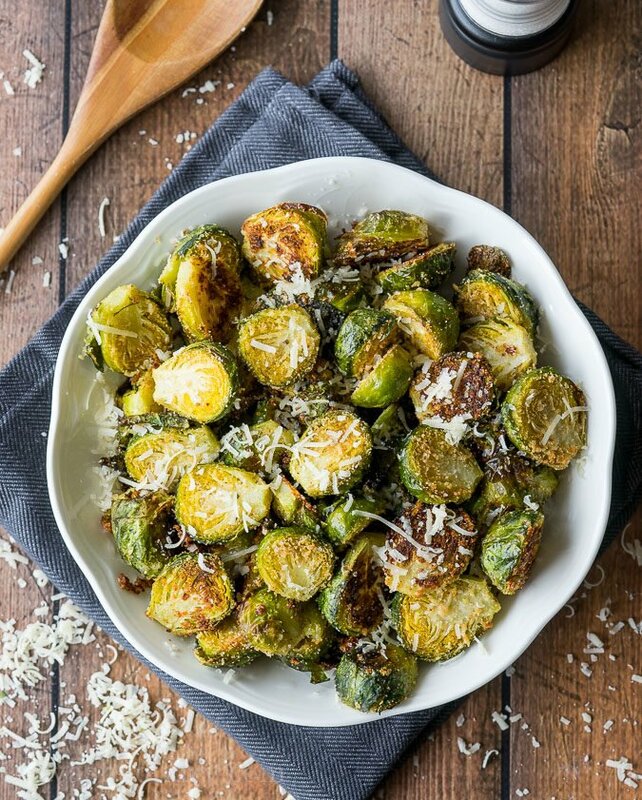 These simple and easy Parmesan Roasted Brussels Sprouts will change the way you think about the little green vegetable! 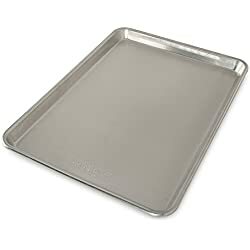 Spread in an even layer on the baking sheet and bake for 15 to 17 minutes until the cheese is melted and the brussels sprouts are lightly browned. 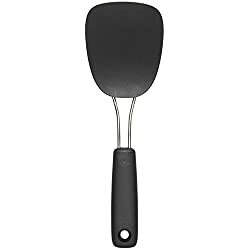 What is a good substitute for bread crumbs? 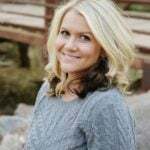 I eat Keto and don’t do bread or grains. Recipe sounds wonderful minus breadcrumbs. Thx! These sound very good, but I will probably omit the cheese for dietary reasons. I already have a good recipe for brussels sprouts, but this one sounds better. I will definitely be making them. Thank you for this great recipe. All of my shredded parmesan cheese burnt to a smelly crisp. None of my quartered sprouts charred. My oven temps are accurate. 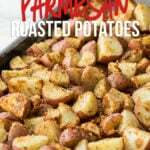 I wanted to bring this side dish to Xmas dinner. Can it be made the day before and reheated in the oven ?